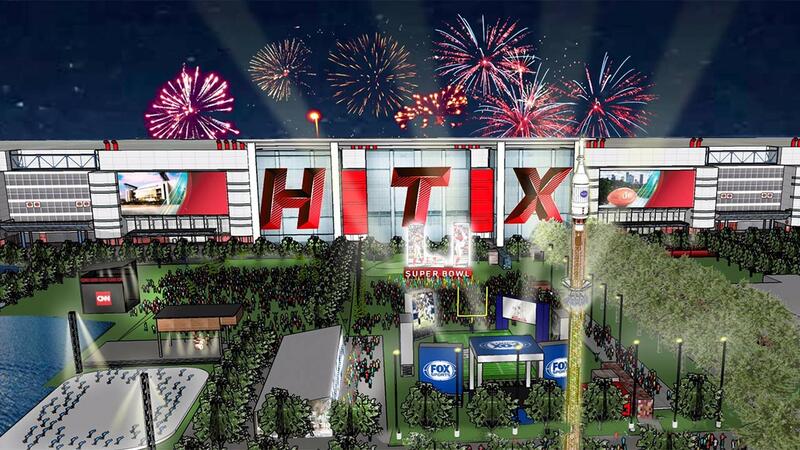 HOUSTON (KTRK) -- With Super Bowl LI just months away, Houston's Super Bowl Host Committee is making sure everyone will be able to experience the gridiron fun. Announced Tuesday, the "Touchdown Tour" will feature a one-of-a-kind fan experience with numerous fan events. The committee says the tour will feature interactive games, a Houston Texans mobile locker room, special photo booths, giveaways, music, food and drinks across the city of Houston. "Not everyone will be able to be in the seats at NRG Stadium on game day in February, but that should not mean they don't get to experience the fun," Mayor Sylvester Turner said in a statement. "The Touchdown Tour will take the Super Bowl experience on the road to neighborhoods all over Houston. I want to thank the Host Committee for delivering on my request to figure out a way for all Houstonians to participate in the excitement leading up to the Big Game." *Jan. 14 Alief Community Park 11903 Bellaire Blvd.